Normally, my friends have some amazing costumes and this year was no exception. 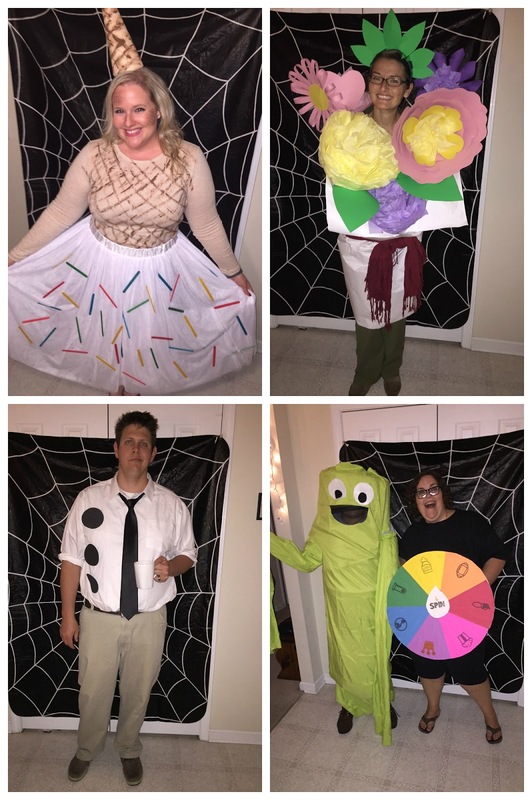 We had Trivia Crack, a flower bouquet, a skydancer, Wal-Mart associates, Popeye & Olive Oyl, Slutty Dora the Explorer, The Duggar parents (from 19 Kids and Counting) and a bunch of others. My friend that was Trivia Crack had a spinning wheel and carried around actual Trivia Crack questions for people to answer. It was awesome! The best thing about my friends and our Halloween parties are that you will see no store-bought costumes. Parts of them may be bought but the final results never just comes out of a bag. In the past we've seen homemade Minions, Emmy awards, Queen of Hearts, Raggedy Ann, Mushrooms, naked SIMs, Chiquita Banana lady, aliens, Diet Pepsi cans, etc. We go all out and it's always something amazing! Also, a bodysuit and animal ears do not a good costume make. At least try with good makeup. Ugh. I will judge you. Before I close today, I wanted to share with you a precious and totally cute picture I found over the weekend. This just goat real cute, right there. The picture isn't baaaaad at all. It's cute! It's okay if you don't like goat pictures...I do. And that's all I have for this rainy, dreary Monday. Great costume. I applaud the creativity! I was Mary Poppins this year.